Imam Al-Ghazzālī, like many other classical Islamic thinkers, regarded the sciences of religion (‘ulūm al-dīn) as a practical pursuit. For him, the science of religion anchored an obligation for seekers to establish a direct and personal relationship with Allāh The Almighty. A highly-intelligent and gifted man, Imam Al-Ghazzali's entire thinking was driven by a deeper layer of philosophical understanding of the soul, and of the human self, where the heart sits at the epicentre of this core understanding, and forms the cornerstone and birthplace from which ethics and morality are developed and delivered. 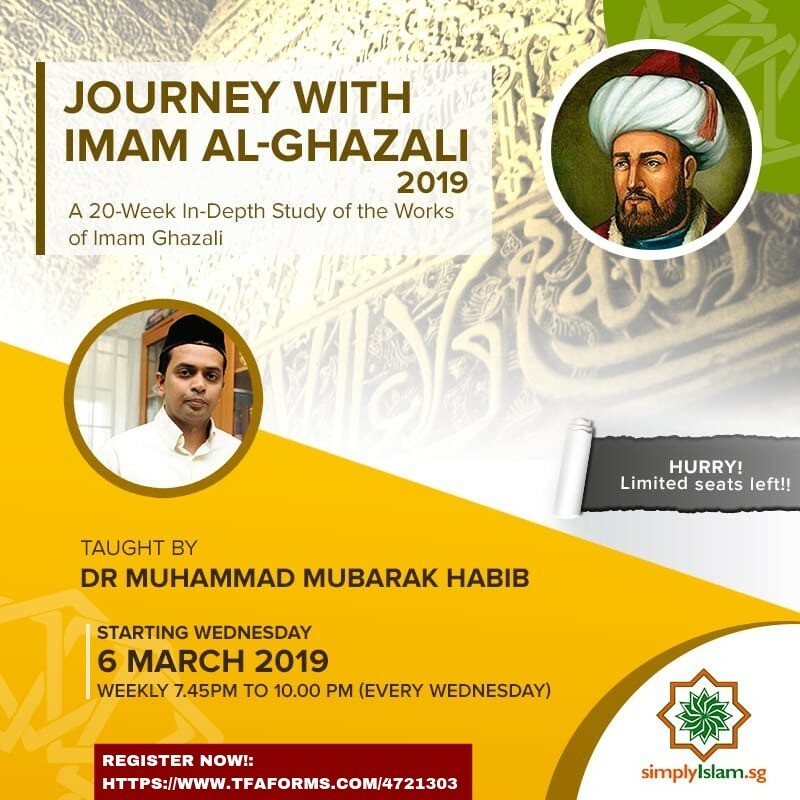 Through years of ultimate devotion in seeking and deciphering knowledge, and through great spiritual affinity, Imam Al-Ghazzali painstakingly developed the science of the hereafter, from which he derived that obtaining felicity in the afterlife is the ultimate purpose of human terrestrial life. He does not deny the importance of worldly life, but instead demonstrates how this life if a bridge to the next. ii) carry out some of the recommendations of Imam al-Ghazzālī in seeking felicity in the hereafter. ii) understand the philosophical bases of the path that Imam al-Ghazzālī advocates. Class commences on the 6th of March. Hurry, limited spaces available!